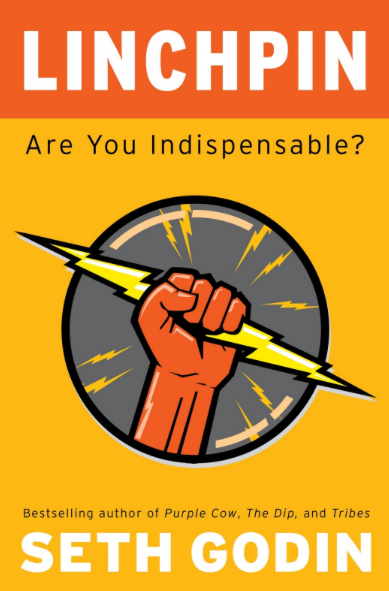 I read Seth Godin’s “Linchpin”. I am sure I am going to revisit this book in a different post. What I need you to focus on now may have a direct application to your life right now. I haven’t really put a whole lot of thought when it comes to when I am going to show you these letters. In the end, like all important decisions… your mom is going to decide. She is always right. We have no control on what the schools will teach us so in my opinions this becomes a comment on your approach to learning. If problems you face are not interesting, it is up to you to make them interesting. This is true at all levels of education. I am going to give you an example. In one of my current classes we were given two assignments to be handed in on the same day. In class the professor asked what we thought about the assignments and I was surprised when most students thought the first one was way harder than the second. For a minute there I thought if I misunderstood what was asked… then I remembered that I did some thing different to answer the question. You see, while most people listed five core values then came up with behaviours and examples. I worked my way backwards. I used three separate groups to come up with what they think are my core values. In case you are curious, mine were honour, initiative, competence, dedication and generosity. The lesson being, make every problem you solve interesting. For the second assignment I expanded the exclusion list. I tried to figure out what most students would list in their answers and decided to come up with different things. Let’s see how many students are in that class. On my left during last class we had Salah, Vivic, Paul, Mary, Bridget, Melanie, Sheriff, Nicholas, Agnes, blank, Katie, blank, blank. On my right, blank, blank, Jim, Nicole, Nadah, Katie, L_, Caroline, blank, Alexhandro (Alex) and Fernanda. Plus Pat who missed last class and five who sit at the back but I can’t remember their faces (I sit in the second row). Approximately 30 students. Times ten, 300 answers. I tried to make all ten of my answers unique. I think at least five qualified. The lesson here? Do not be like everyone else. Do not settle. Aim higher. Lead. By the way… the seven books I am using to open this conversation with you are from a list of recommended reading handed out by the professor. I am treating them as a requirement. I am leaving you with a passage from “Linchpin”. How can I believe in the first sentence if you were not even born yet? Well… that is the hole point of the book. So far the first two books I read and the one I skipped have the same theme… the extra mile. « Good to Great: What does it take?